Having witnessed one of his live performances, fellow musicians and music lovers alike sing hymns of praise about Richard Smith. With fretboard fireworks and lyrical endeavors, he will melt your heartstrings, make your toes tap and your jaws hang open. Richard's ever-growing repertoire comprises a wide variety of music from classical Bach to Beatles pop. It includes Scott Joplin Rags just like Sousa marches, Chopin, Mozart and fiddle tunes. It ranges from jazz standards to Chet Atkins and Jerry Reed and to Django Reinhardt gypsy swing, not to mention his intriguing originals. He delivers both, lightning fast barn-burners and beautiful ballads, occasionally spiced with vocals. His incredible stylistic wealth is founded in a lifelong love for music. Born in Beckenham, Kent, England in 1971, Richard started playing guitar at age 5 under the instruction of his father. Concentrating initially on the country picking of Chet Atkins and Merle Travis, young Richard digested everything he heard, learning even the most complicated of these tunes with ease, and confounding everyone with his dexterity. Richard first met his hero, the “Godfather” of fingerstyle guitar, Chet Atkins, when he was only eleven. Richard was invited by Chet to share the stage with him at Her Majesty’s Theatre in London in front of an audience of 1,000. At first, the master accompanied him, but later on he just listened in stunned silence while the child played Chet’s own arrangements — perfectly. By the time Richard reached his early twenties, both Chet Atkins and Jerry Reed began to refer to him as their “Hero”. It's no surprise that the hymns of praise subsequently never faded. 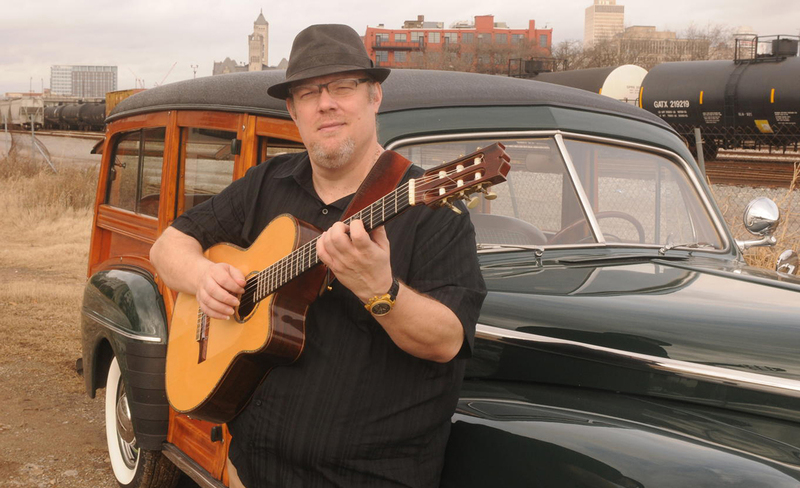 Now residing in Nashville, Richard has toured the world as a solo artist, teaming up with his wife Julie Adams for a unique guitar and cello duo, performing with his brothers Rob and Sam as the Richard Smith Guitar Trio and with his swing band, The Hot Club of Nashville, featuring Stuart Duncan on fiddle, Pat Bergeson on guitar and Charlie Chadwick on bass. Fellow guitar wizard Tommy Emmanuel prefers Richard Smith as one of his favorite duet partners. 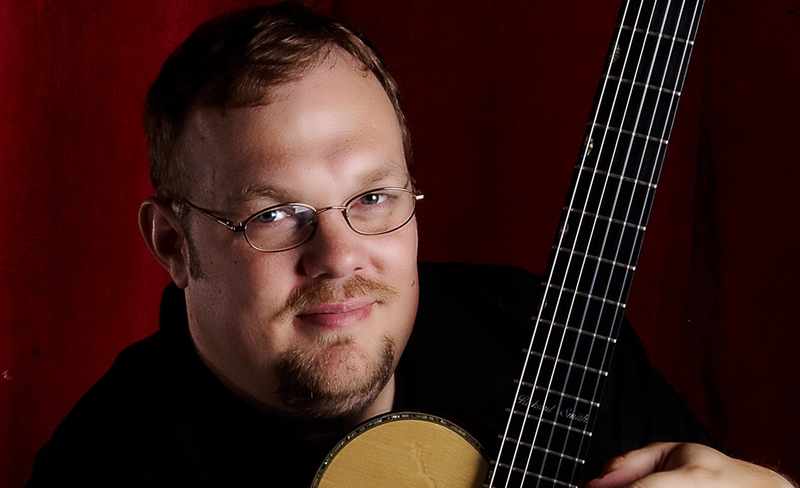 In 2001, Richard became the National Fingerstyle Guitar Champion in Winfield, Kansas. He was elected Thumbpicker of the Year in 2008 and inducted into the National Thumbpickers Hall of Fame in Kentucky in 2009. 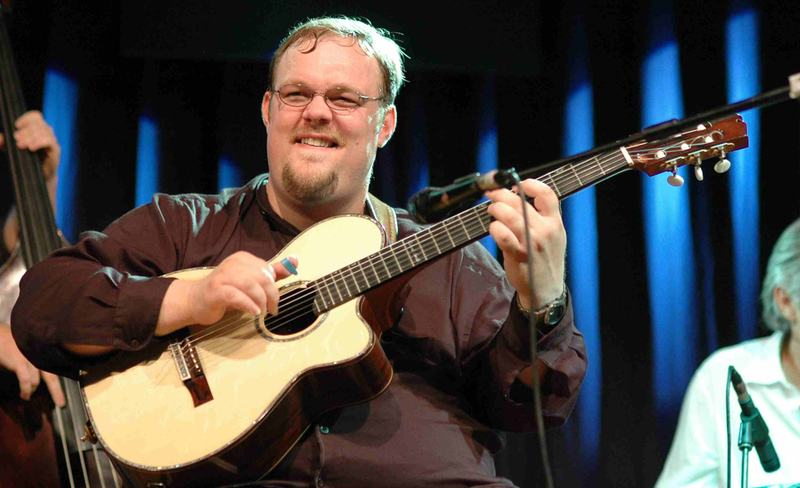 He is also a recipient of the Golden Thumbpick Award by the Association of Fingerstyle Guitarists in California. Richard has been a mainstay at the Chet Atkins Appreciation Society Convention in Nashville since 1991, where he has played with many world renowned artists including Nato Lima of Los Indios Tabajaras, sax legend Boots Randolph and John Jorgenson of Desert Rose Band and Elton John Band fame. He has also performed with other great musicians such as Marcel Dadi, Tommy Tedesco, Thom Bresh, Joe Pass, Biréli Lagrène, Bryan Sutton, Les Paul, Mark O'Connor, Sam Bush, Martin Taylor, Jorge Morel, Suzy Bogguss, Muriel Anderson, Guy Van Duser, Béla Fleck, Victor Wooten, Tony McManus and Buster B. Jones and shared the bill with a host of others, most notably Steve Morse, Albert Lee, Paco Peña, Barney Kessel, Da¬vid Russell and Johnny Hiland. 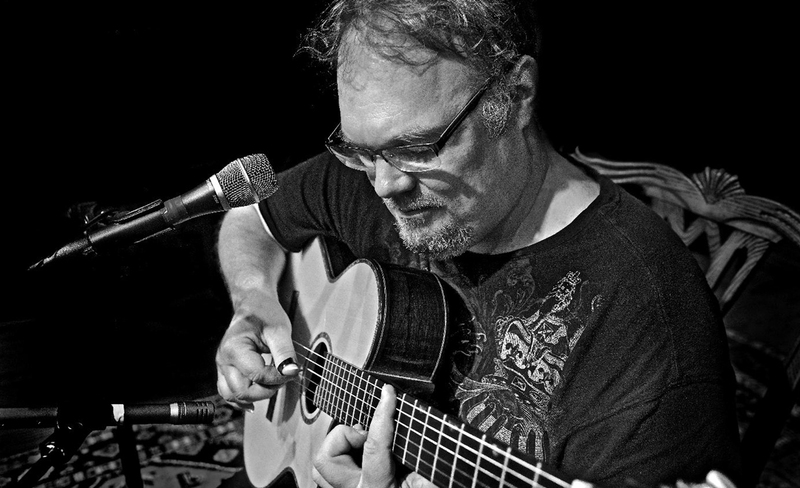 For more information about Richard Smith, visit the artist’s website: www.richardsmithmusic.com. Viewing the video on his website will give one a very vivid picture of Richard's playing style and incredible talent. All tickets include a meet-and-greet with Richard in the lobby after the show.